At the HEADstrong Foundation, we offer financial, residential, and emotional support to families affected by cancer. We are based just outside of Philadelphia, where patients often travel seeking care and leaving their homes behind. We support cancer patients and their families with peer support, comfort kits, financial help and lodging for families who have no place to stay while in the Philadelphia area. The heroes and families that we’ve served have a story worth sharing and inspire us to continue our journey in providing solutions. NICK “HEAD” COLLELUORI FOUNDED HEADSTRONG IN 2006 WHILE BEING TREATED FOR NON-HODGKIN LYMPHOMA. HE IS OUR INSPIRATION, AS NICK’S LAST WISH WAS THAT HIS ENDURING LEGACY WOULD BE THAT OTHERS WOULD BENEFIT FROM HIS LIFE. BEN AUSTIN WAS DIAGNOSED WITH KIDNEY CANCER AT 3 YEARS OLD, AND WOULD GET TERRIBLE CAR SICKNESS DRIVING 100 MILES EACH WAY FROM HIS HOME TO PHILADELPHIA FOR TREATMENT. BEN CAME TO STAY AT NICK’S HOUSE, AND THE CLOSER PROXIMITY TO THE HOSPITAL ALLEVIATED HIS CAR SICKNESS, AS WELL AS ALLOWING HE AND HIS FAMILY TO SPEND MORE TIME TOGETHER AND RESUME A SEMBLANCE OF NORMALCY DURING HIS RECOVERY. LEXI CABLE, 6, OF ALLENTOWN, PA., HAS BEEN TREATED FOR B-CELL ACUTE LYMPHOBLASTIC LEUKEMIA SINCE SHE WAS 3. LEXI RECOVERED AT NICK’S HOUSE FOR OVER A MONTH FOLLOWING A BONE MARROW TRANSPLANT IN MAY 2018, BRINGING A PLAYFUL ENERGY THAT UPLIFTED ALL OF THE GUESTS. GEMMA GEARY AND HER HUSBAND, BUTCH, HAIL FROM POTTSVILLE, PA., AND CAME TO STAY AT NICK’S HOUSE FOLLOWING GEMMA’S SURGERY FOR GLIOBLASTOMA, AN AGGRESSIVE FORM OF BRAIN CANCER. “HEADSTRONG HAS BEEN A BRIGHT LIGHT IN THE MOST DIFFICULT TIME OF MY LIFE,” GEMMA SAID. 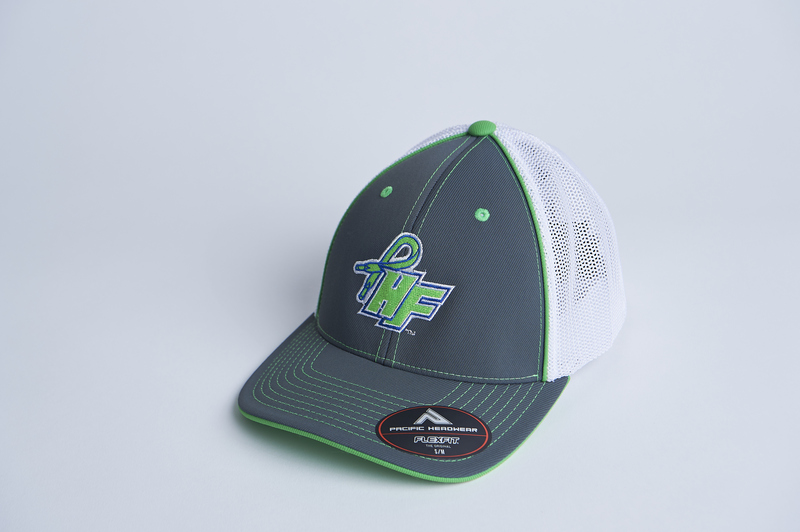 The HEADstrong Foundation was founded by Nick Colleluori, who passed away from cancer at age 21. During his treatments, Nick took note of resources that were lacking for cancer patients and the families who are all affected. Resources such as lodging when traveling for treatment, financial help with medical bills and other challenges, and the need for understanding and support. Today Nick’s mother Cheryl heads the Foundation, and we direct resources whenever we can to families in need. Thank you for visiting the HEADstrong Foundation website. It is our goal to keep Nick Colleluori’s memory alive by being as relentless in helping others as he was. Your purchases help provide lodging, financial aid, peer support and outlets of entertainment to people affected by cancer.